The teams for the Irani Trophy and the Challenger Trophy, the traditional curtain-raisers for the cricket season in India, have been announced. By and large, the teams are good and sound in what is expected to be a good season in India; one in which several Team India stars are expected to turn out, somewhat unexpectedly, for their home states. 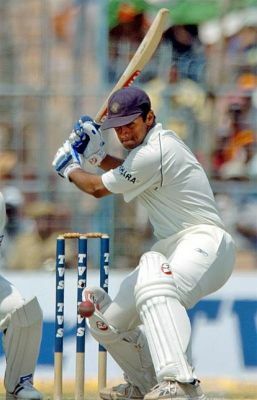 The Rest of India team features two Team India players who are on their comeback from injury: Virender Sehwag and Sree Santh. Zaheer Khan is still on the mend and so it appears as though it will be a while yet before we see him in action for India. Cheteshwar Pujara is another notable absentee. He had an amazing run in last years’ Ranji Trophy and went onto the injury bench just prior to this year’s IPL. He misses out because he he is till injured. A notable and exciting inclusion is young TN opener, Abhinav Mukund, who gets a call on the back of a successful Ranji season. He may not play, given the presence of M. Vijay and Virender Sehwag as openers. However, this is a step in the right direction for this young left-hander. Two notable exclusions are Parhiv Patel and Mohammed Kaif! The former has been edged out by the exciting talents of Wriddhiman Saha and the 22-year old, Punjab ‘keeper, Uday Kaul. However, this non-selection must come as a rude shock for Mohammed Kaif in both the Irani game as well as the 3 Challenger teams! Remember that Mohammed Kaif is a contracted Team India player! This non-selection, on the back of the fact that he did not get selected for the Rajasthan Royals in this year’s IPL, must be a blow to the young man, who must wonder where his career is at. Kaif has probably been edged out by 24-year old Pune batsman, Kedar Jadhav. Irfan Pathan and Munaf Patel get a chance to reconstruct their Team India prospects through this Irani game. This should be a cracker of a contest and should set the scene for the rest of the India season. The teams look well balanced and will be a nice selection platform for the endless series of ODIs against Australia.